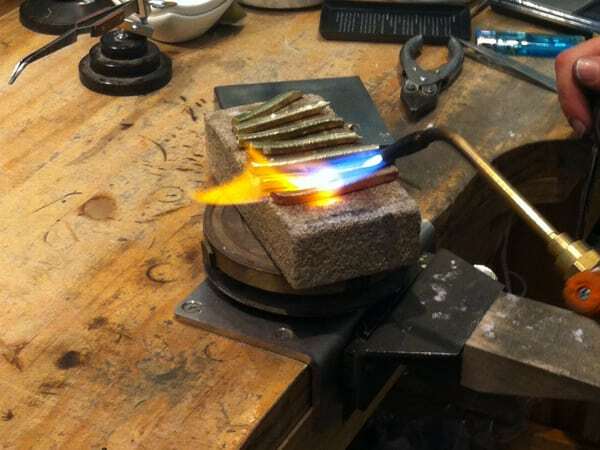 Continuing our guided tour to our jewellery workshop and the goldsmithing skills and tools we work with every day, we’re now diving into how we push, pull, bend, hammer and roll precious metals into useful and recognisable shapes. 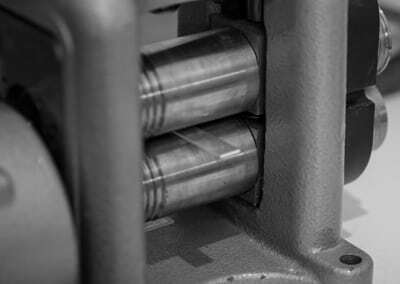 Let’s start with one of the biggest, heaviest and most expensive pieces of equipment in a workshop – the rolling mill! This is a serious bit of finely balanced kit which is generally bolted to a countertop, heavy table or an indoor tree trunk. 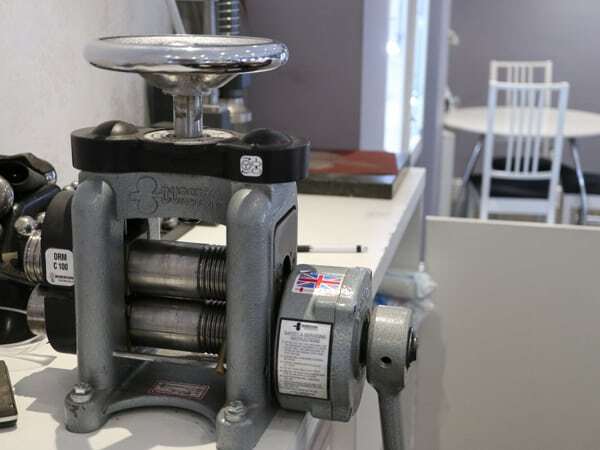 An alternative is to have it on a stand that is then bolted to the floor. It’s important to be able to apply a certain amount of body weight to the rolling mill in the knowledge that it is not going to shift! In the world of jewellery, measurements can be tiny! The thickness of the metal can make a huge difference to the final weight, and price, of a piece of jewellery. As a result, it is worth taking the time, and applying the arm muscle, to making sure you’re working with the correct thickness of metal. 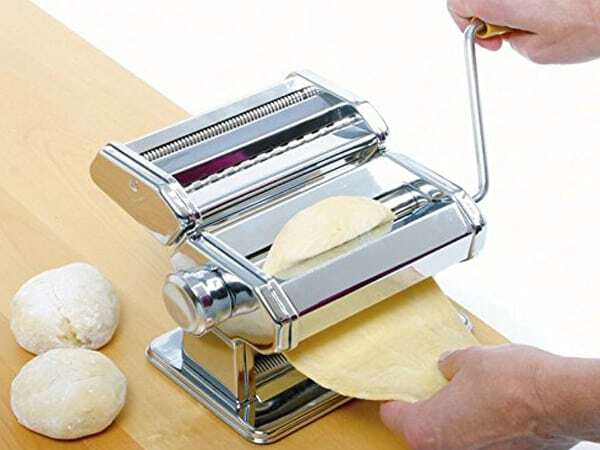 When making a metal sheet, or bar, thinner or narrower the mechanisms applied are not dissimilar to how pasta is made! Understandably, though, a piece of gold is harder to reshape than pasta dough! In the case of rolling down a sheet of metal, the gap between the two rollers on the rolling mill is adjusted until the width between them is just slightly less than the thickness of the metal. 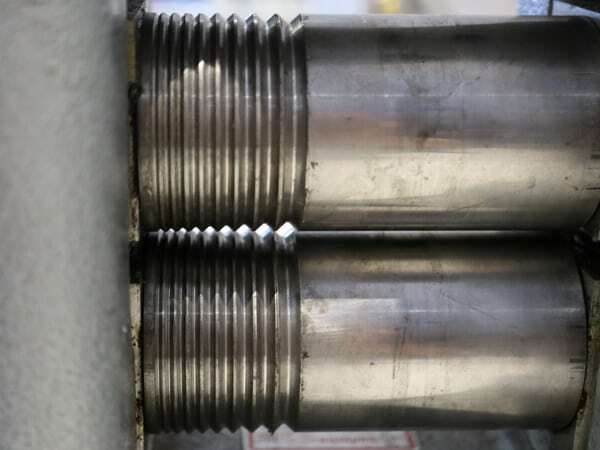 The metal is rolled through the rollers as they turn when the handle is turned. Then the gap between the rollers is reduced slightly and the process is repeated, resulting in a slightly slimmer sheet of metal. And again, and again until the sheet reaches the required depth. It’s important to note that as metal is ‘worked’ like this, it hardens, making it less flexible. In order to make metal relatively more malleable so that it lends itself to being rolled repeatedly through the mill, it needs to be ‘annealed’. Annealing is heating the metal up with a torch to a point where it softens (but doesn’t melt!). When rolled, metal will move/shift in length and in width, so this is something to bear in mind in order to make sure you end up with the right shape as well as the right thickness in the metal. And so it goes – roll, adjust, roll, measure, anneal, adjust, roll, measure, etc.! As ever, trying to remove a couple of steps from the process in order to speed thing up simply doesn’t work! It may seem like a lot, but the devil is in the detail in so many aspects of jewellery making – that’s what we love about it! As well as rolling sheet metal, our rolling mill can also be used for rolling down square bar. 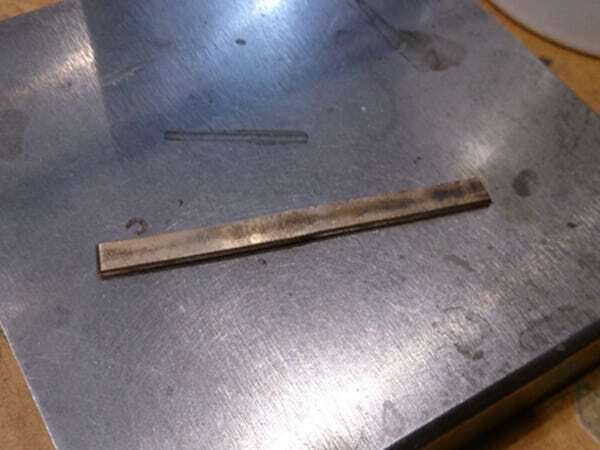 The same theory applies, traveling from larger to smaller grooves to make slim down the bar, annealing as necessary. 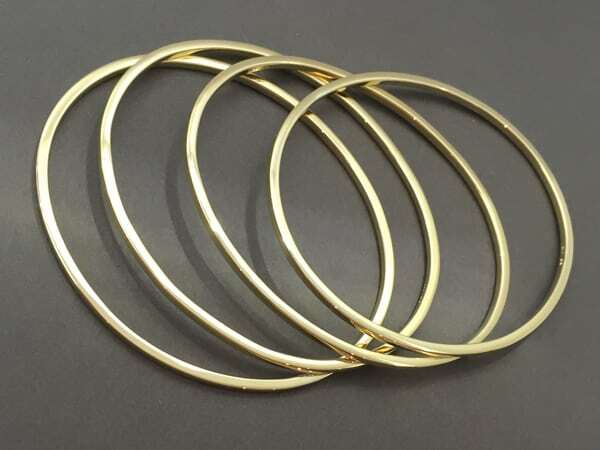 Rolling down bar is very useful for making bangles, either from new metal, or when remodelling where we melt down and reuse a customer’s old gold. It goes without saying that rolling down metal is a good workout for the goldsmith as well as the metal! In our next ‘Behind the Scenes’ blogs we’ll keeping shaping metal, this time with a variety of different mandrels – see you then!